This is to add on to another purchase of a pre-existing stock order item for no additional shipping charge. Another Item Must be purchased and then Add this item as an additional purchase. 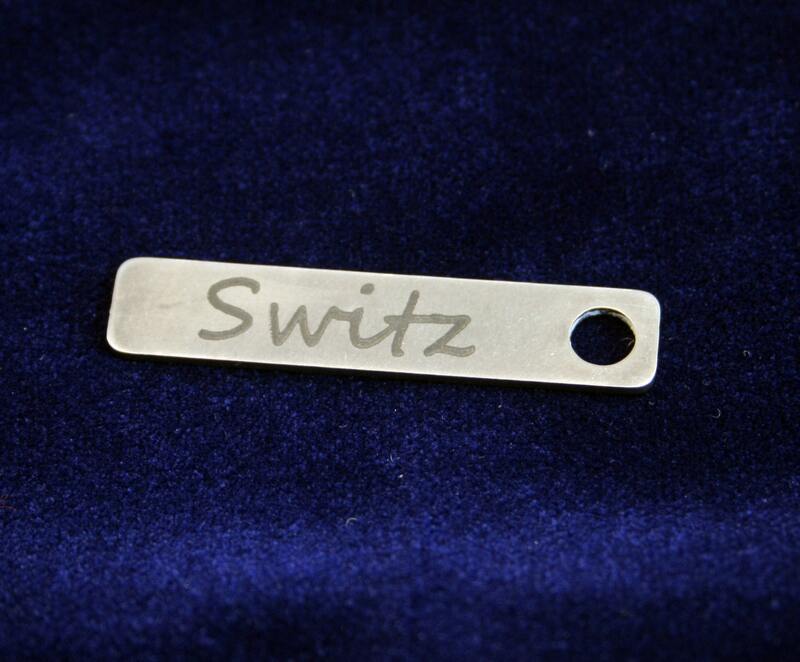 A pre-cut tag or zipper pull that can be customized by laser marking text onto the surface of one side. 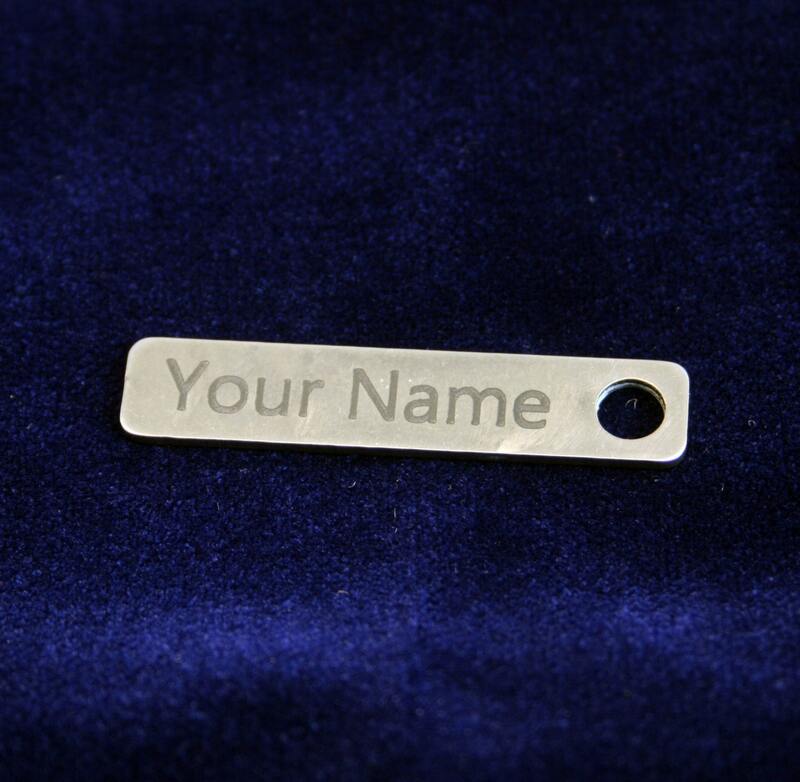 This item is laser cut from T-304 surgical grade, 18 gauge, stainless steel and is tumbled to remove burrs and sharp edges. I t can come with either the tumbled matte finish or a brushed shiny finish. These tags measure 1-1/2 inches long by 1/4" wide. Each tag will come with a 12" mm split ring. 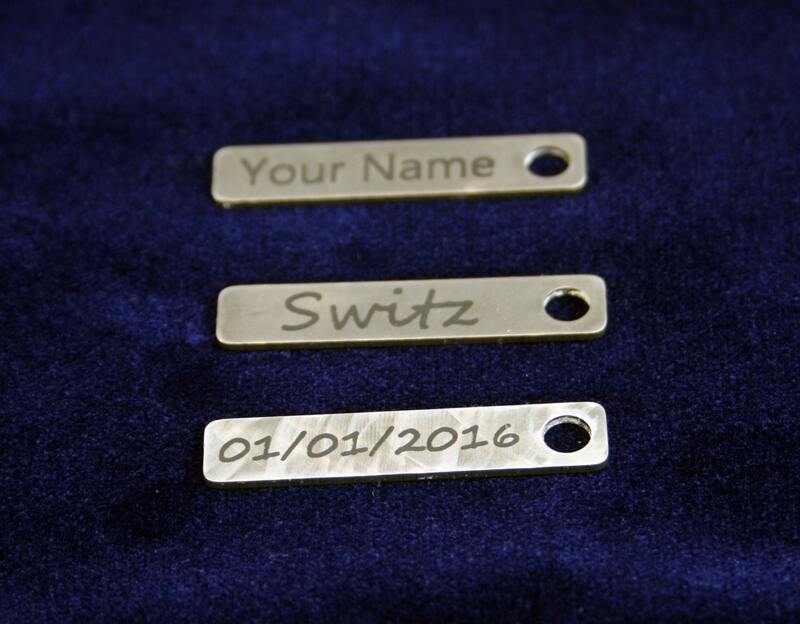 Pair this item along with any of our other key chains, that do not have enough physical material to etch, to personalize them with a name, comment, date or other text. Or Use it as a zipper pull, bracelet or necklace charm. Please specify the font you wish to use and specific text in a "note to seller". 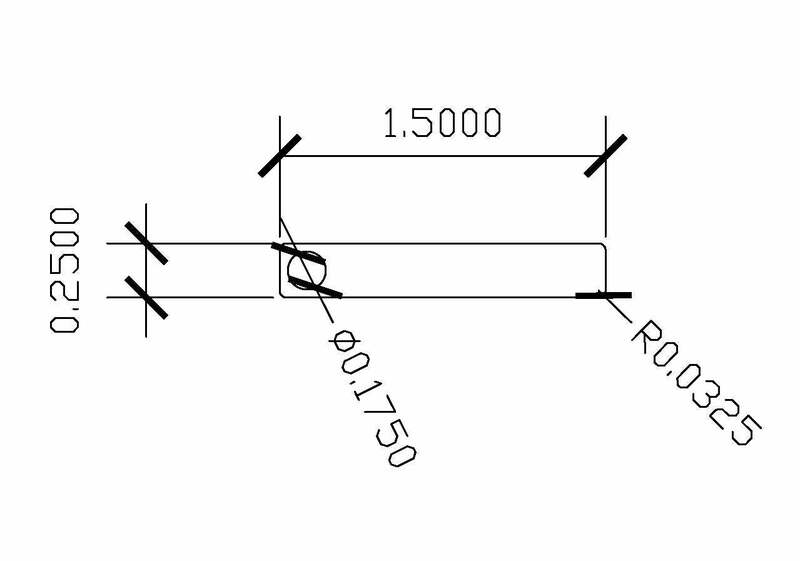 The quantity and size of text are limited by the size of the item. Please contact me with questions prior to ordering to make sure text that you want will fit. 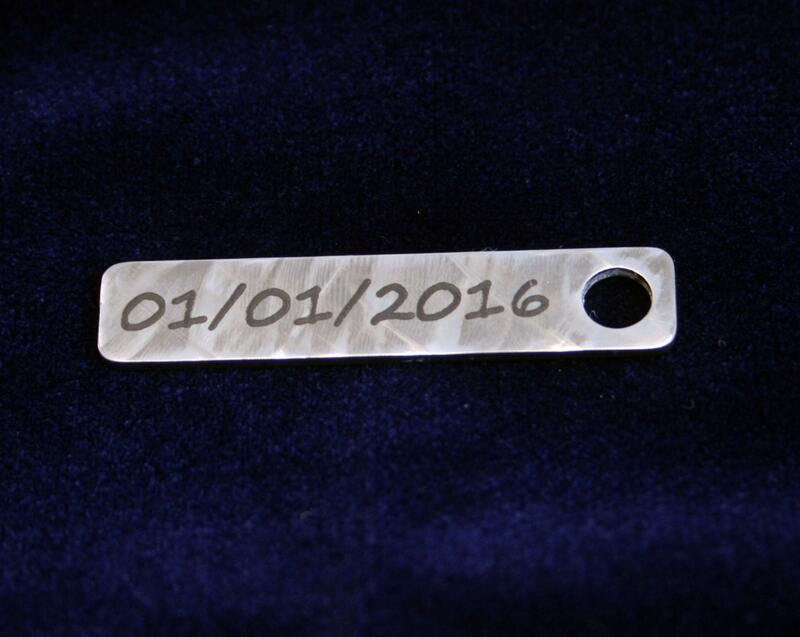 All customers will be sent a proof for approval prior to scheduling the laser for marking. Contact me directly for special pricing on bulk orders or Also if you wish to have just blank tags. All US bound orders will ship out USPS Priority mail typically unless other arrangements are made. All other countries will be shipped USPS first class package rate in a bubble padded envelope unless other arrangements are made. So appreciative of your workmanship, your communication and your thoughtfulness. Thank you!